I think to myself maybe, just maybe, I did fill my father’s shoes. During the summers I played tennis and had entered the Club tournament, which was played at the end of the season. I had done quite well that year, making it to the finals in the tournament. I remember thinking how excited I was to think I could be Club champion that year. It was a best-of-five-set match, Jonny and I went five sets, playing long and hard as we were pretty even players. We went into a tie breaker in the fifth set, and I lost 15 to 13. This was devastating; however, I congratulated Jonny and walked off the court to be met by my father who, too, congratulated Jonny. Jonny’s father was not there. Dad was so happy with me, knowing I had given it my all. He said all that matters is that I played my best and that he was proud of me. I had wished Jonny’s father would have been there for him as having Dad’s support meant more to me than winning the game. Dad’s love gave me the understanding of a critical life principle: It does not matter where you finish, only how well you play. I also swam competitively, and it was during my senior year when our team was competing for the state championship. Our school had never taken state in swimming so our team was excited to be the first to make it that far. I cannot remember a single meet my father missed from the time I started at age six. There may well have been some, but none that I recollect. In one of our final meets I was swimming a distance race which was not my event. Our coach put us in varied strokes and lengths to give us endurance. We needed some points as the meet was close, and I wanted to place well so I was anxious on the blocks. The race began and off we went; my specialty was sprinting so the first 100 yards were easy for me. Then the next 400 yards came, and I began to drift out of the lead. In a distance race the swimmer has more time to breathe between strokes. On one breath I caught my father watching me intensely and cheering me on. This was all I needed as my internal fire was lit and off I went. I finished that race with a high enough placement to help the team win. Dad’s dedication to me allowed my dedication to the sport to carry me through. Dad and I pulled up to my baseball game, parked, and then got the equipment out of the trunk. Under our bag was a bottle of honey. Dad squirted some in my mouth for energy, and off we went to the field. This was the first game of the season so I had a lot of anxiety built up. Up to bat I went with the first pitch thrown, hitting me square in the back. I thought, “That is going to leave a mark!” As tears welled in my eyes, I looked over at Dad, and he was asking if I was okay. Although I knew he would accept me if I walked off the field, I gave him a nod. And after seeing I was okay, he then motioned for me to go onto first base. While this event seems small in the big picture, this little bit of encouragement kept me from quitting that day, and perhaps set the stage for other times in life as well. Dad’s kindness allowed me to evaluate without recourse what I needed to do and provided me with access to the right decision. My father was a broker, and after some trials leading me down other paths of employment, I elected to follow him into the business. Still, as a young man having a burning desire to be like his dad, I sat down and asked him what I needed to do to be successful. He was not full of the same information as others who are coaching one to success. Dad told me never to calculate the commission I was to receive until the transaction was over. This allowed me to serve my client and not money. He told me to serve the industry by volunteering for committees, and he offered that being honest in everything I did would pay great dividends. Lastly, he said to have fun and enjoy what I do. Work should never be a burden; and if it becomes that way, find another occupation. Dad’s love of life and example has given me an outrageous life. 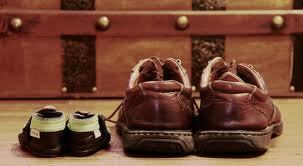 My father passed away five years ago now, and I still find myself wondering if I will ever be able to fill his shoes. As a father I witness the great blessing it is to be a parent. I am not sure what I did in life to have such wonderful children or why they may have ever picked me as their dad. My son, the oldest, has to be the most loving individual I have ever met. He has a sincere and complete love for all life. My oldest daughter is strong and independent with a complete dedication to life. She will accomplish whatever she desires. My next oldest, a daughter as well, is one of the kindest people you will ever meet, accepting everyone she meets for who they are. She has tremendous leadership skills that combined with her kindness will take her to great heights. Our last child, a daughter, has a complete love of life. She is the light and energy of every get together; she will always bring joy to life. As I witness the lives of my children, I find myself wondering now if I can fill their shoes. Then I sit back and realize they have similar traits to what it was I admired in my father. I think to myself maybe, just maybe, I did fill my father’s shoes.